Big Band and swing tunes with featured bandleader Jimmy Dorsey. Also selections from Glenn Miller, Count Basie, Erskine Hawkins and more. Famed musician Jimmy Dorsey was born in 1904 in Pennsylvania. When they were only teenagers, Dorsey and his younger brother, Tommy, formed Dorsey's Novelty Six, later known as Dorseys' Wild Canaries. During the 1920s, both brothers worked in various bands and as freelance and studio musicians, mostly in New York City. The Dorsey Brothers Orchestra debuted in 1934, when it began a long residency at the Glen Island Casino. 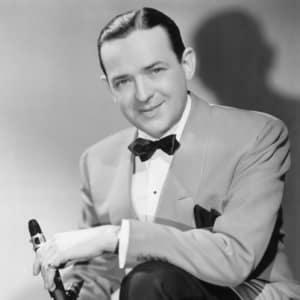 Jimmy Dorsey later led the Jimmy Dorsey Orchestra, which scored hit singles like "Contrasts," "Amapola," "Tangerine," "Green Eyes" and "Maria Elena." Dorsey died in New York City on June 12, 1957.